Home › Toys › Christmas Ornament Super Grow Eggs - Hang 'Em And Hatch 'Em X-Mas Hatching Eg..
Christmas Ornament Super Grow Eggs - Hang 'Em And Hatch 'Em X-Mas Hatching Eg..
Christmas Ornament Super Grow Eggs - Hang 'Em and Hatch 'Em X-Mas Hatching Eggs - Grow Three Different Super Sized Pets! 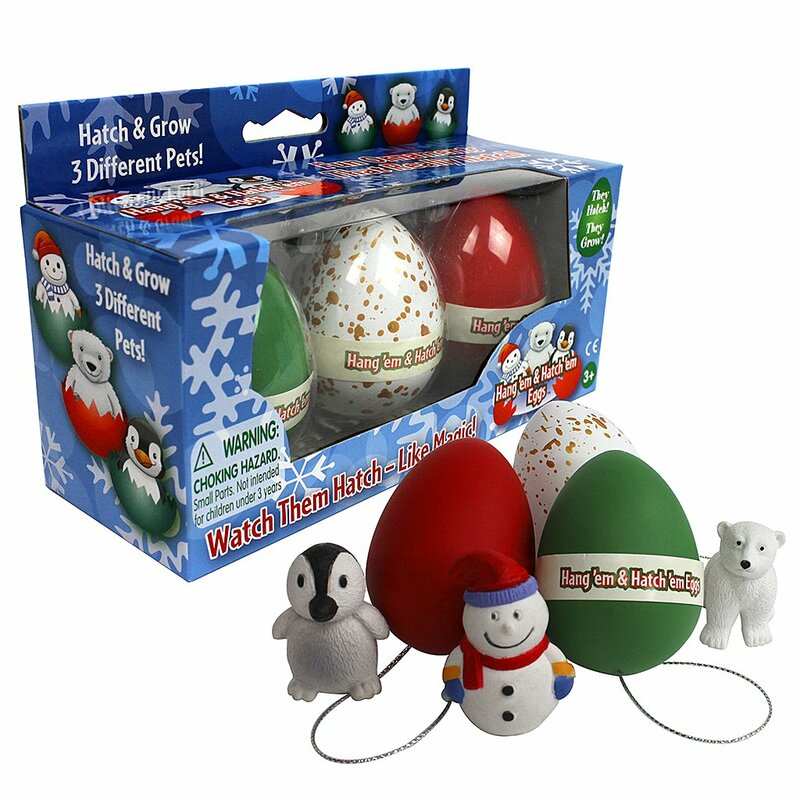 Christmas Ornament Grow Eggs - Hide 'Em and Hatch 'Em Eggs - Watch Them HatchLike Magic Three Different Pets! The holidays come just once a year, but themagic keeps going with brand new Hang em and Hatch Em Grow Egg Ornaments! Hangthem on the tree, then when done, hatch them! Simply place them in water andwithin 24 hours, they will start to crack. Soon thereafter, within 36-48hours, will pop out a special growing pet. A Baby polar bear, penguin, orSnowman will delight your young one and make for a very special pet they cantreasure year round. They will grow immediately and up to several weeks.Extend the holidays with this fun different activity. Brand New this year andan Exclusive. DIRECTIONS FOR USE: Place Eggs in water. Within 24hours your egg will begin to crack. Each day, replace water. The pet willcontinue to grow, out of its shell. You may help the pet out, but it will keepgrowing up to 5x-10x its size with or without your help. Its the perfectStocking Stuffer! When the pet hatches, rinse the pet off as it will beslippery, and either play with it, or place it back in clean water and watchit daily continue to grow. it will continue to grow for several weeks.Featured in Newsday Kid Reporter Gift Guide December 2016!